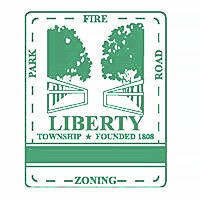 The Liberty Township Zoning Commission, as the last order of business on June 20, approved amendments to the township zoning code that will now go before the board of trustees. On Friday, July 13, in a special 2 p.m. session in the township offices, 10104 Brewster Lane, #125, Powell, trustees will consider the commission’s motion to amend the text of the Liberty Township Zoning Resolution. According to an email from the township, trustees have canceled their Monday, July 16, regular meeting, making the Friday noon session their only meeting for township business in July. According to the agenda, if the amendments are adopted, Article 4, titled Definitions, and Article 20, titled Sign Regulations, will be amended. The proposed changes come at a time when a “Notice of Appeal” has been filed with the Liberty Township Board of Zoning Appeals. The appeal, filed by Jay Sunderland, a resident of the township, is in regard to certain decisions — allowing the construction of an earthen mound without a permit — made by Tracy Mullenhour, zoning inspector. The mound in question is a large pile of earth that has been seeded and is starting to grow grass, constructed on a property owned by Thornwood Taggart Road LLC. The site is located off of Taggart Road, behind the Olentangy Falls subdivision on Hyatts Road. The appeal filing states that the mound was constructed by Martin Savko, owner of Savko Brothers Properties X LLC, who recently lost a hard-fought battle against a referendum placed on the May 8 ballot petitioned by Berlin Township residents opposing the development of a concrete production facility on land located at 5427 state Route 37 E., Delaware. Charles Hurt, assistant zoning inspector, said the property is zoned Farm Residential for which an earthen mound is permissible. Currently, the zoning resolution of the township states in Article 4, under the term structure, “landscaping mounds having a height fewer than 18 inches from a finished level of grade” are not considered structures and not requiring a permit. However, that is leaving earthen mounds of more than 18 inches to be defined as a structure, requiring a permit from the township. However, in the new the amendments trustees will consider, Article 4, “landscaping mounds having a height of less than 18 inches from a finished level of grade” has been removed from the zoning resolution. In the last regular trustees session on June 18, Trustee Melanie Leneghan was adamant that the word mound is removed from under the definition of structure. “Do you know where we are at changing the zoning code on 16-inch hills?” Leneghan asked Matt Huffman, township administrator. Trustee Shyra Eichhorn said she thought that mounds 18 inches high requiring a permit was absurd, but also thought it was absurd that there would be “nothing on the books for anything.” She said if someone isn’t in a homeowners association or planned neighborhood and they get angry at their neighbor, they can build a 20-foot mound. This entry was tagged D. Anthony Botkin, Jay Sunderland, Liberty Township, Marty Savko, Matt Huffman, Melanie Leneghan, Mounds of Dirt, Shyra Eichhorn. Bookmark the permalink.